Former Toronto Mayor Rob Ford died at 46 on Tuesday, after an 18-month battle against an aggressive form of cancer. Any attempt to eulogize Ford is ultimately futile. An honest recollection of his scandal-riddled time as a public servant, and international punchline, comes off as too caustic. Lionizing or humanizing him would ignore the reasons why neither was attempted during his all-too-short life. When the same sites that ran “40 of the funniest cracks about Toronto mayor Rob Ford” roughly two years ago are now collecting “the most heartfelt condolences about Rob Ford,” it’s enough to make your head spin. 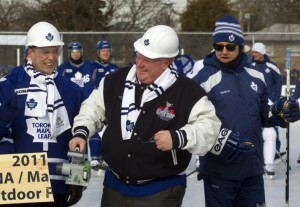 We imagine most of Toronto is coming to terms with this contradiction today as well.